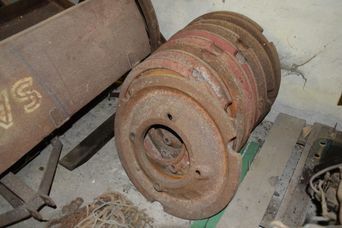 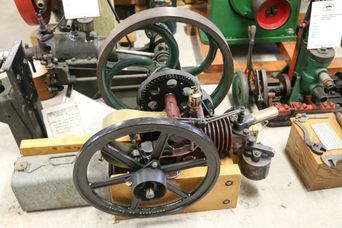 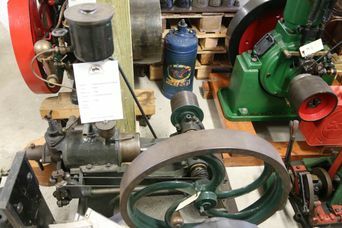 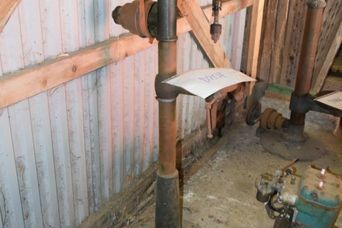 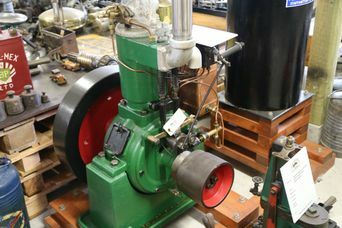 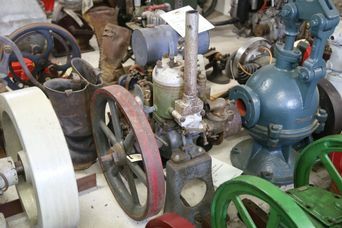 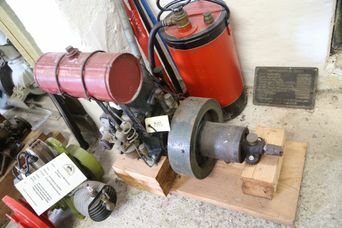 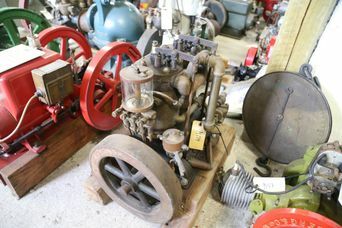 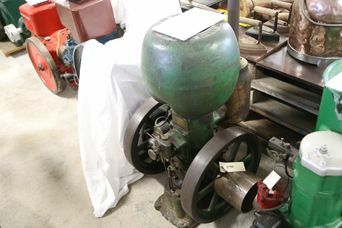 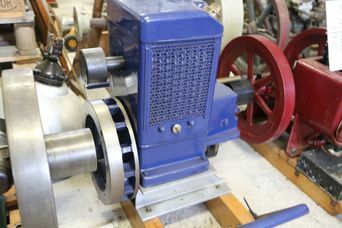 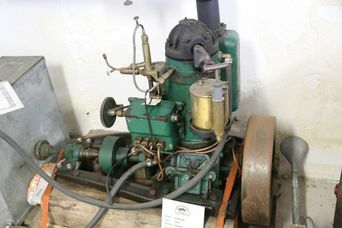 Swedish built hot bulb engine. 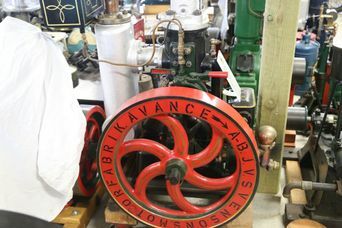 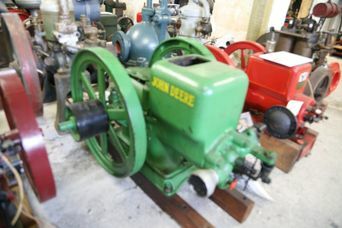 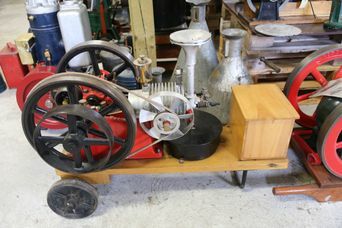 Very unusual reverse steam engine. 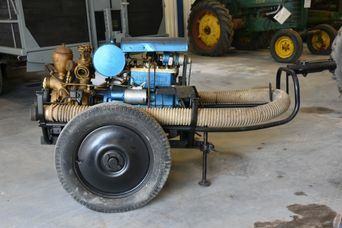 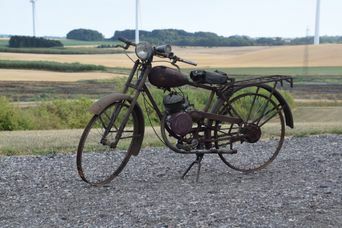 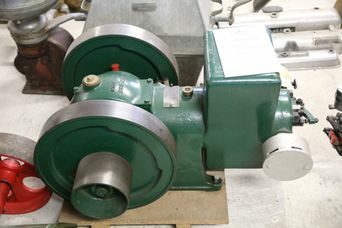 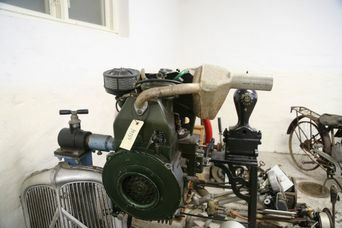 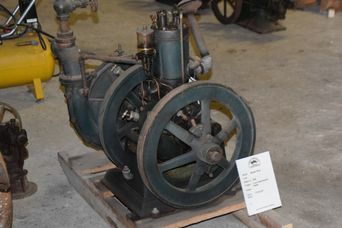 Very unusual steam lokomobil, steam motor, made by German R Wolf. 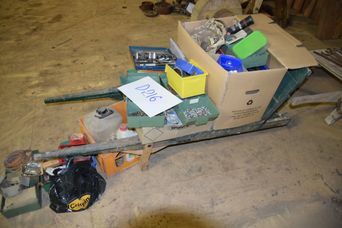 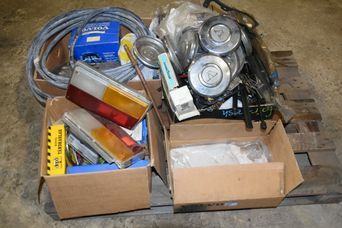 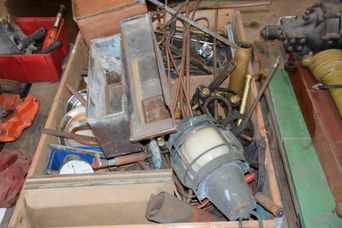 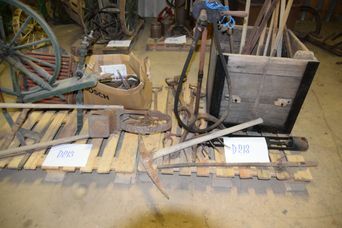 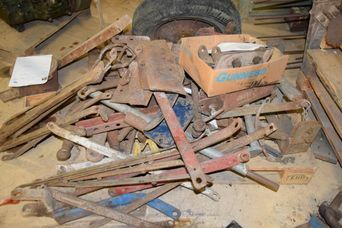 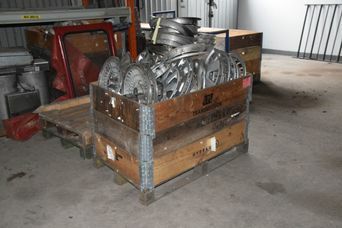 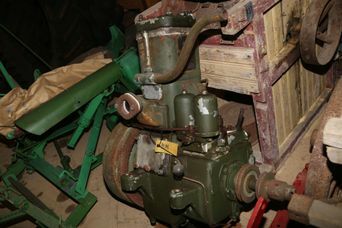 Much parts included, seems to be relatively complete. 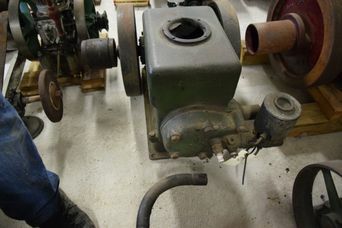 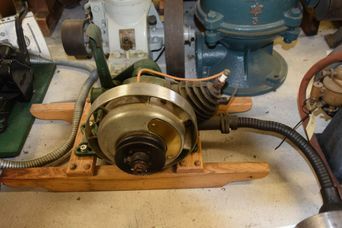 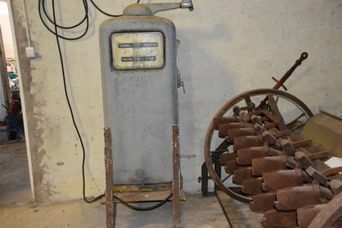 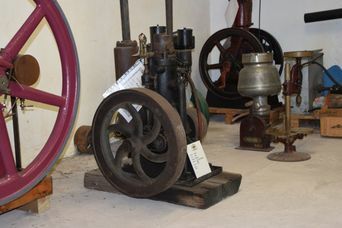 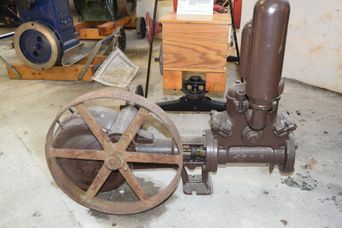 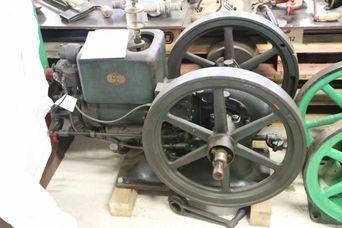 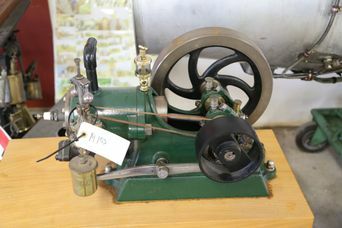 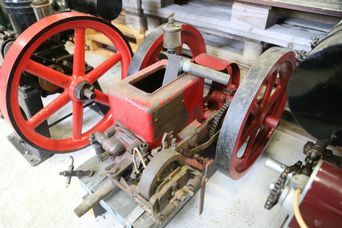 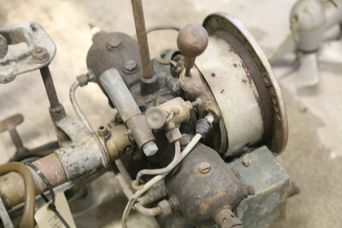 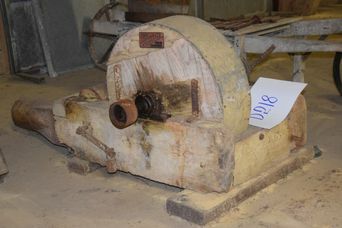 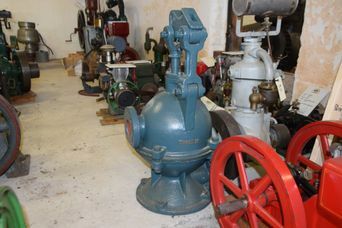 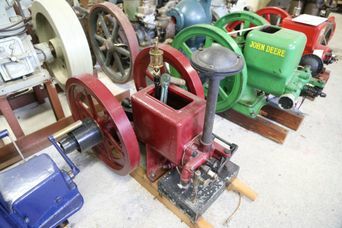 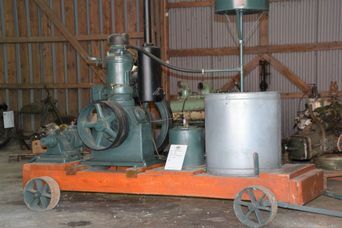 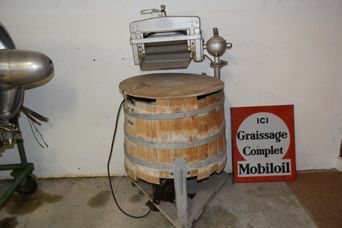 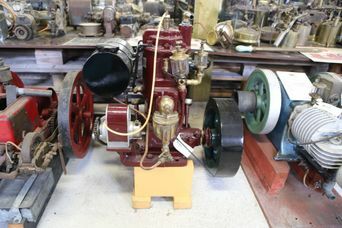 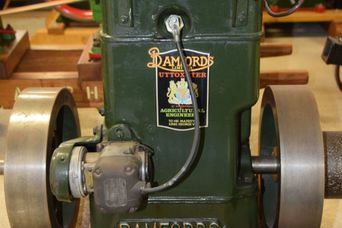 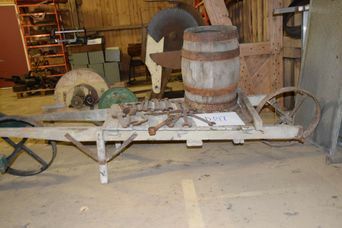 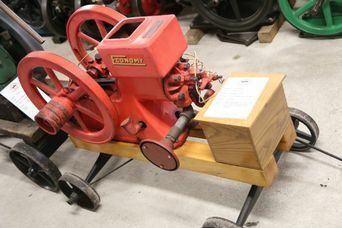 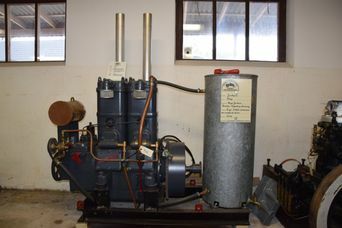 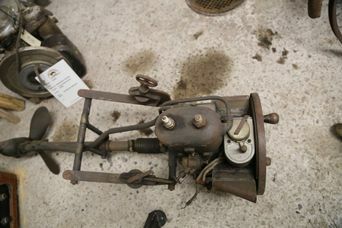 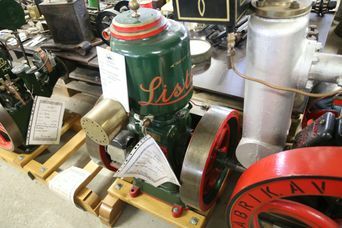 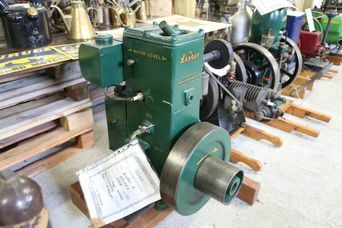 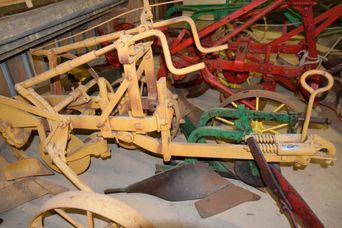 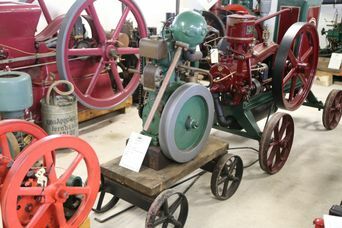 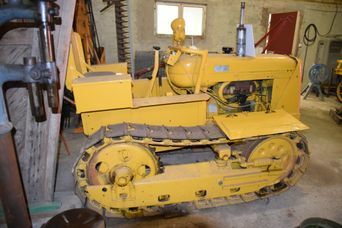 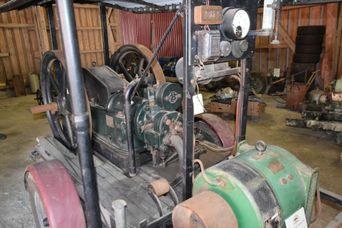 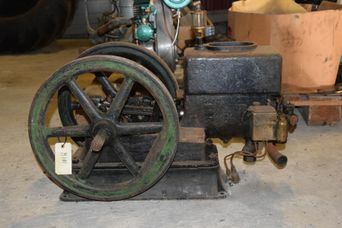 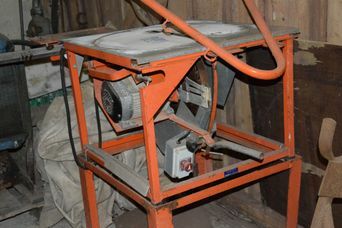 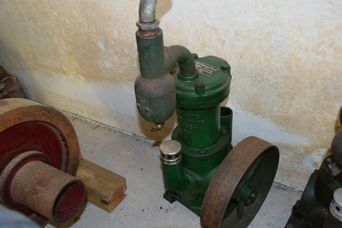 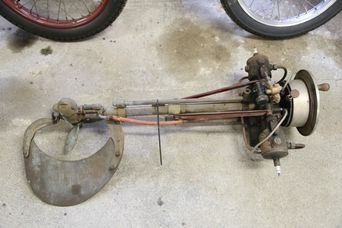 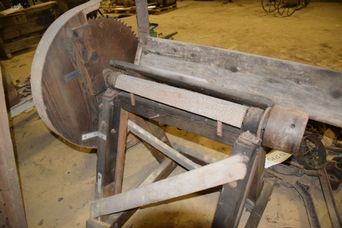 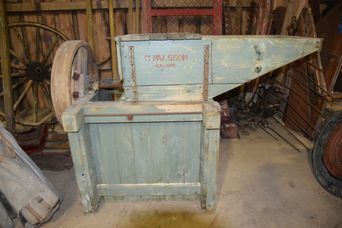 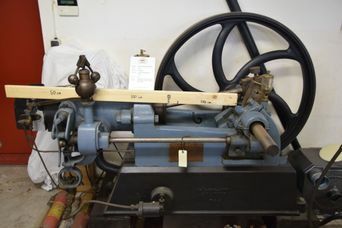 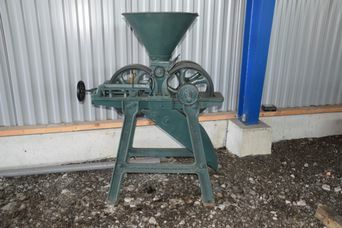 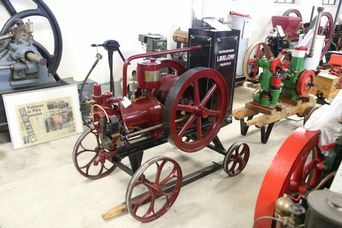 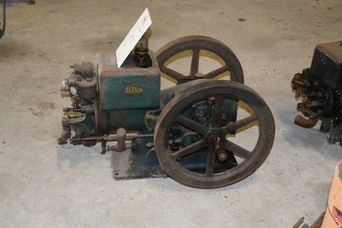 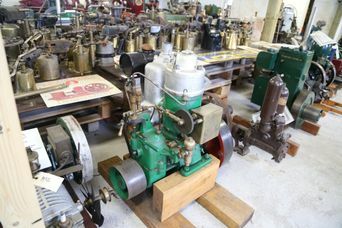 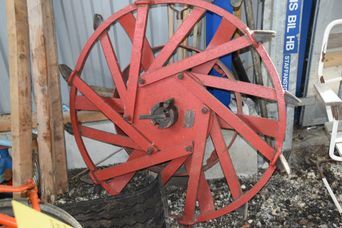 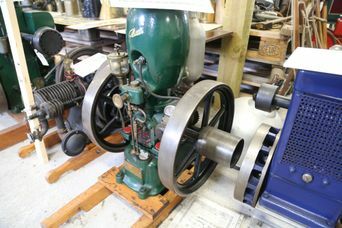 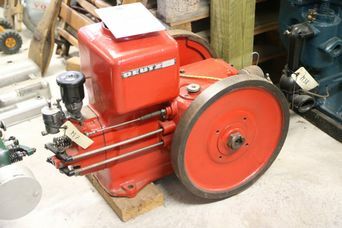 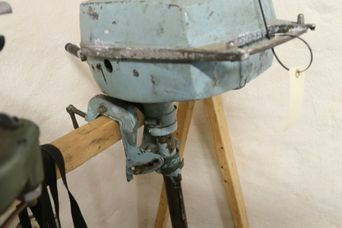 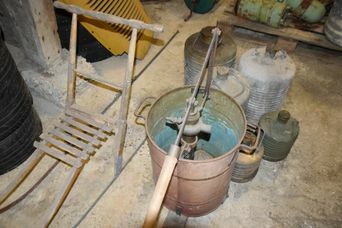 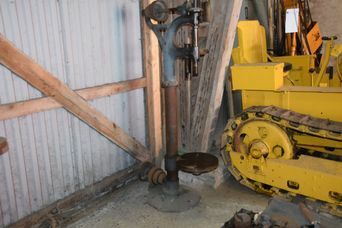 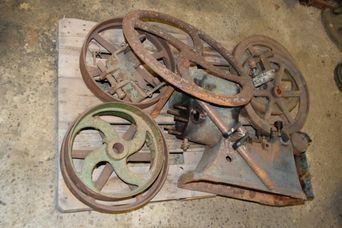 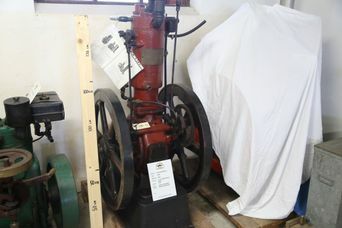 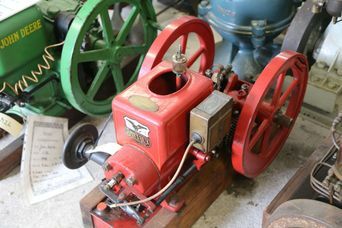 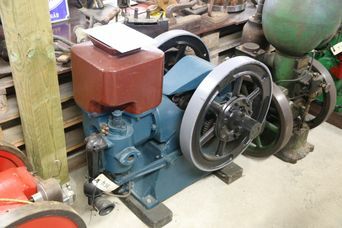 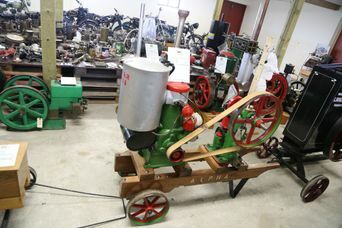 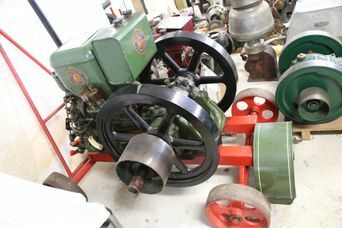 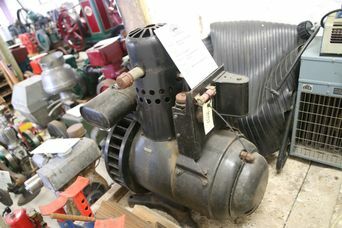 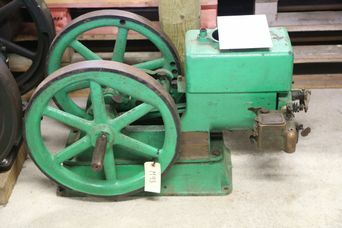 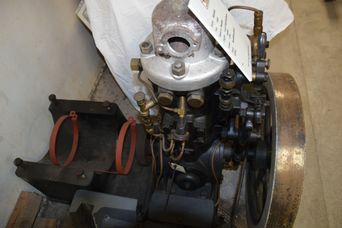 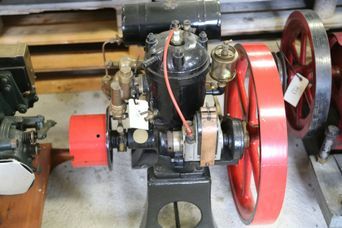 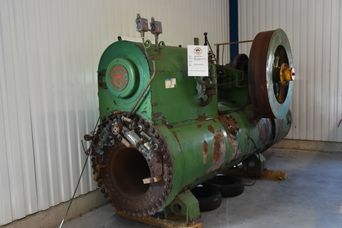 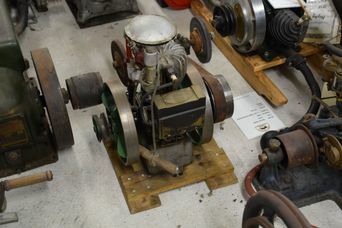 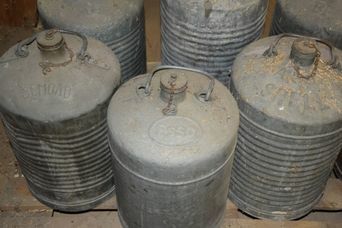 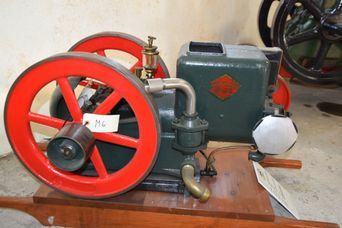 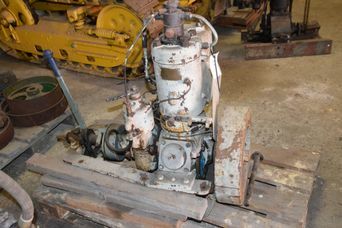 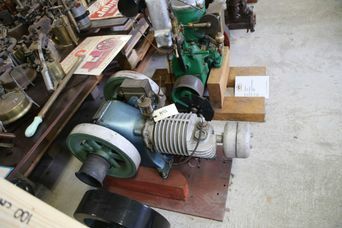 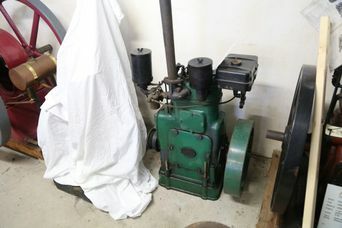 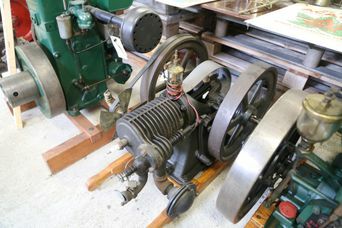 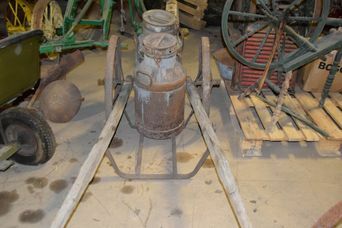 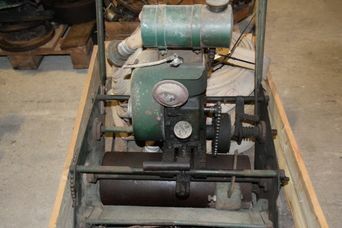 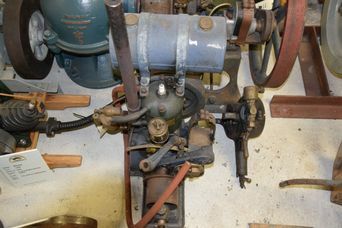 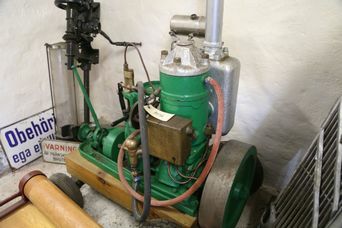 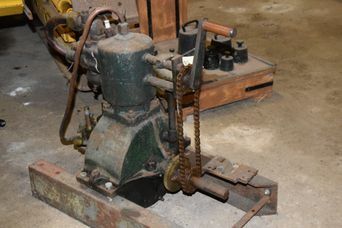 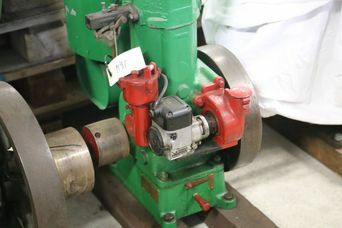 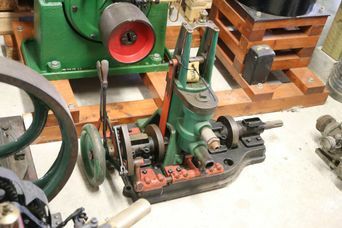 Ruston Hornsby 1 cylinder, 4 stroke engine with 6 HP. 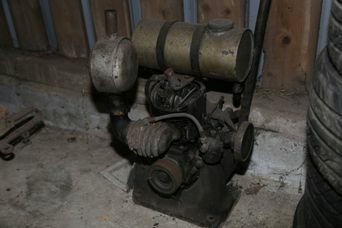 Old and collectable American built engine. 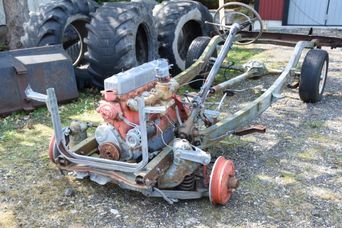 Old and rare American built engine. 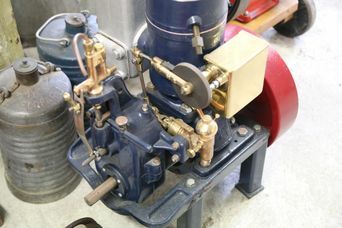 Nice tall Swedish built Västervik engine. 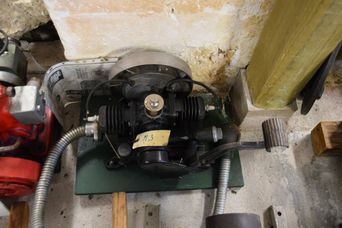 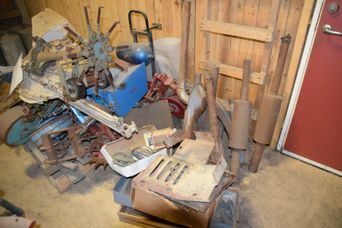 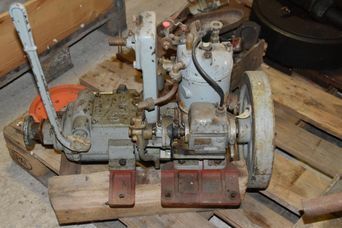 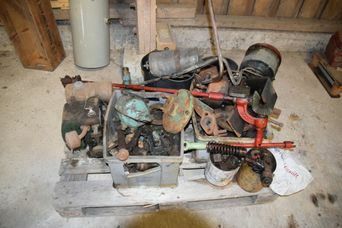 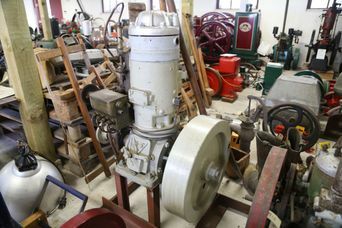 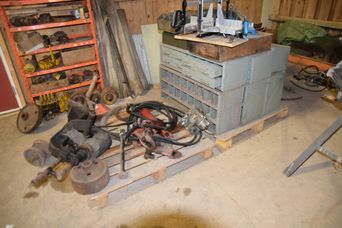 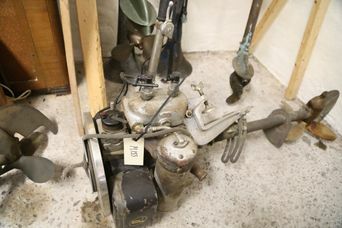 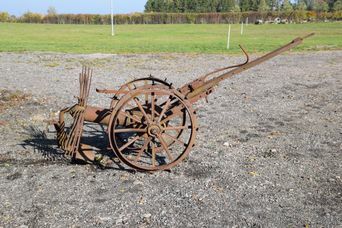 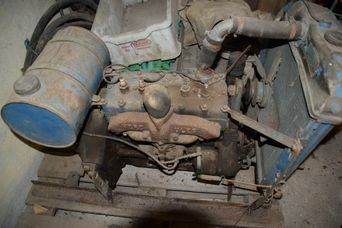 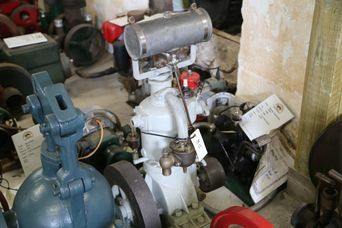 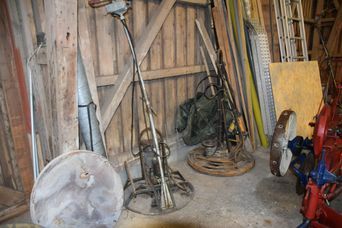 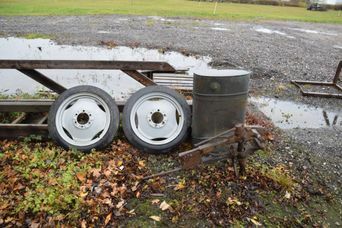 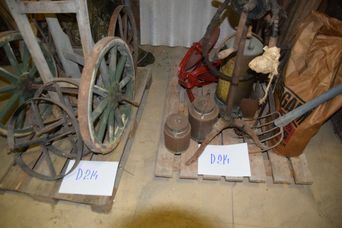 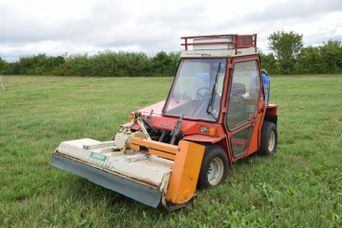 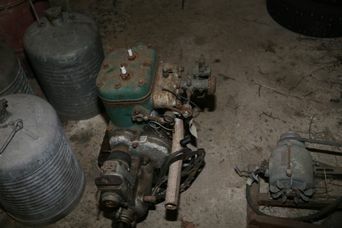 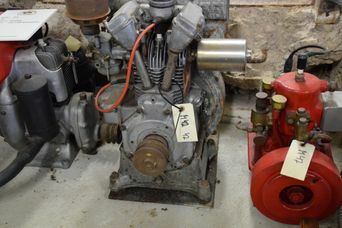 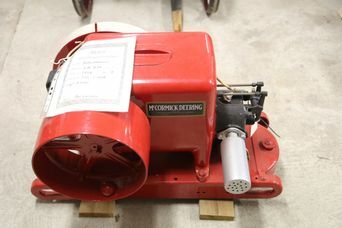 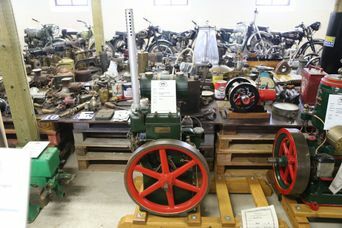 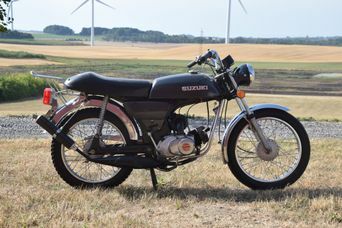 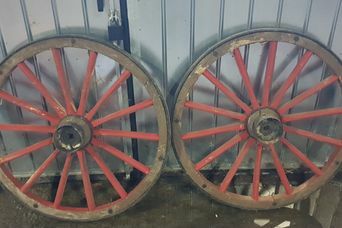 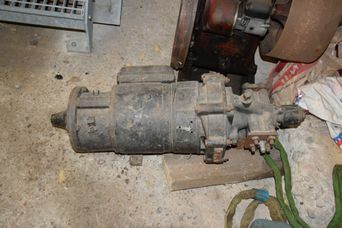 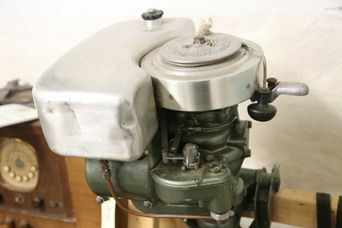 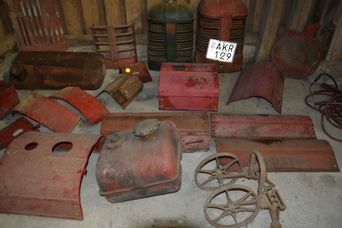 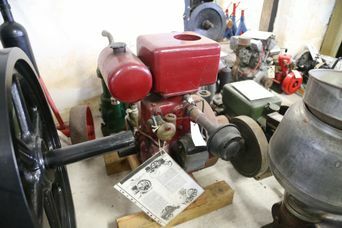 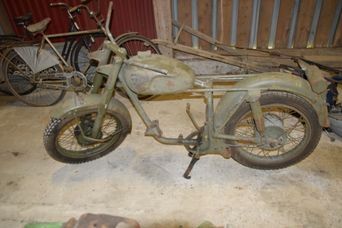 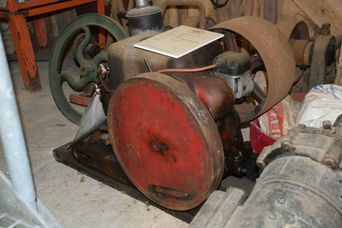 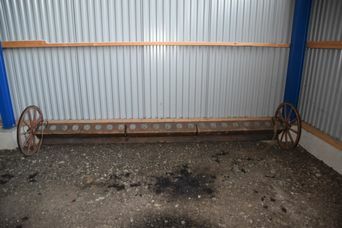 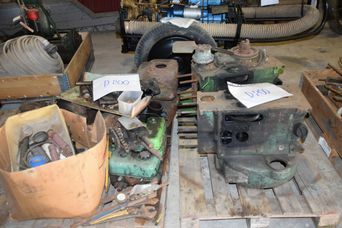 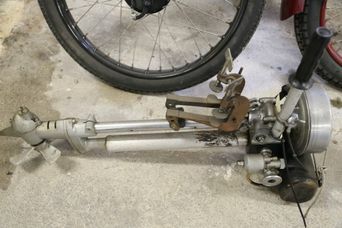 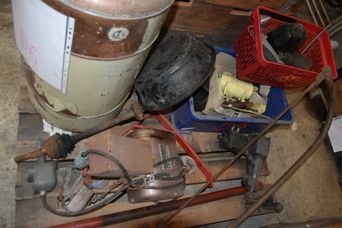 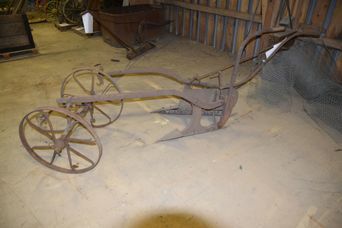 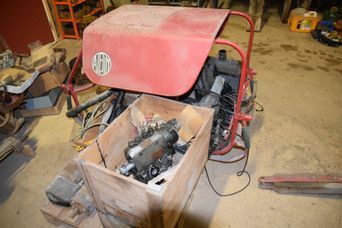 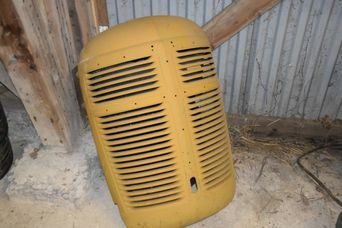 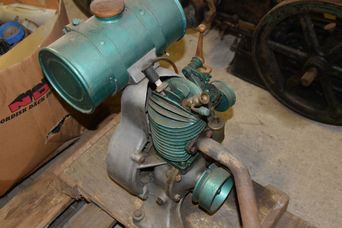 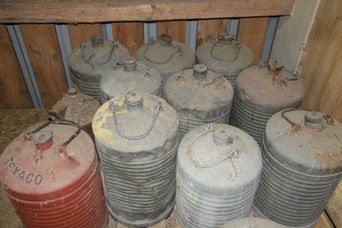 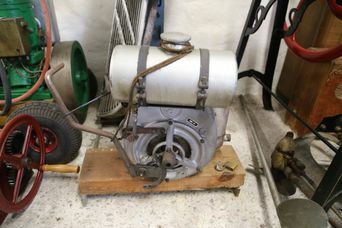 Small 2 wheeler engine in great condition. 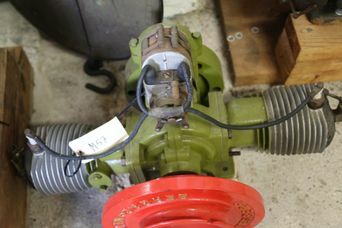 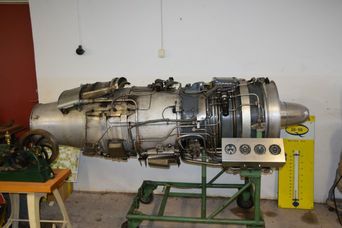 Jet engine from a Swedish SK 60 plane. 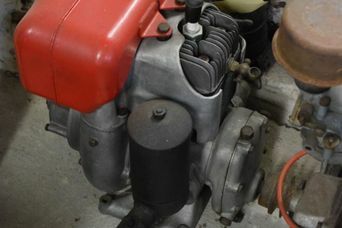 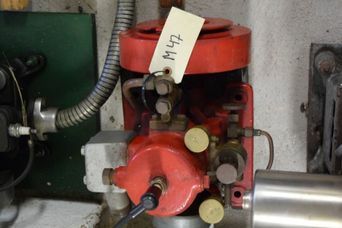 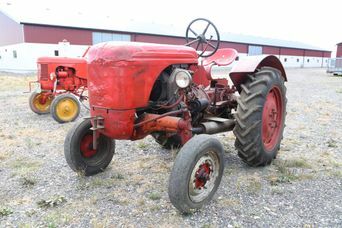 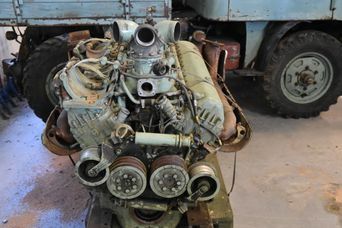 Allgaier AP 122 Junior 2 cylinder T24 — 1958? 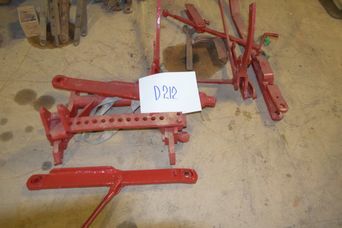 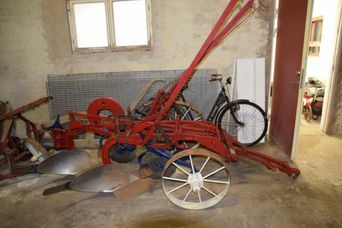 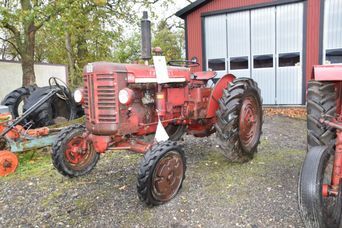 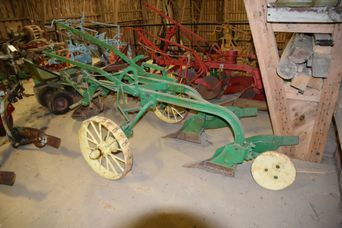 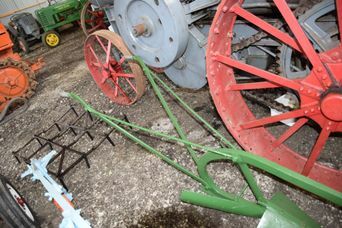 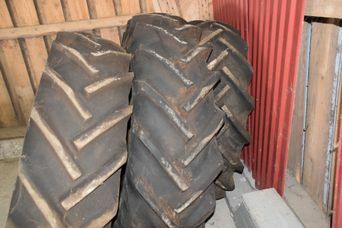 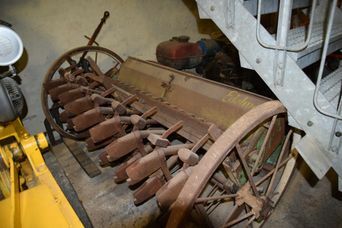 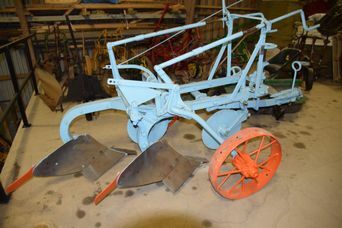 2 furrow Tractor Plow refurbished and ready for the autumn ploughing competitions!